Middle grade stories involving grief seem to have become quite common. And frankly these kind of stories take a certain amount of emotional energy to read. But when I heard that Ally Condie had written this book involving a theatre festival I was definitely interested in reading it. And I am very glad I did. Grief is something that everyone experiences sooner or later, but each person deals with it in his/her own way. 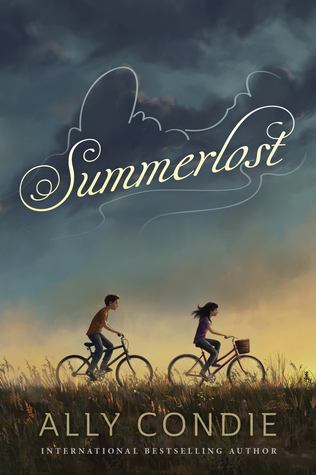 In Summerlost, the main character, Cedar Lee, is trying to deal with the deaths of her father and brother, Ben in a car accident the year before. Cedar and her mother and brother, Miles, have purchased a home in Iron Creek but plan to live there only during the summer. Cedar struggles with her memories of her father and brother. Her brother seems to have had a mental disorder or deficit of some sort, not specified in the story, which further complicates Cedar's emotions. When Cedar meets Leo and gets involved working in concessions at the local Shakespearean festival, it helps take her mind off her grief and confusion. Especially when Leo recruits her to help him give unofficial tours highlighting the life of a local celebrity to help him earn money to go to London. Unfortunately, since neither Cedar nor Leo have parental permission nor festival permission to conduct these tours, they lie and hide what they are doing. A mystery surrounding the death of the local celebrity and a missing ring gives Cedar further reason to get involved with the festival. 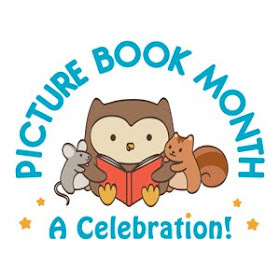 While Shakespeare may not be a topic that many middle graders will hop on, I think thoughtful young readers who give the book a shot will not be disappointed in the growth that Cedar undergoes. Her memories of her father and brother and grief mix in with her new experiences of friendship and family. She's also confused about who keeps leaving things for her on her window ledge. Not all the decisions Cedar makes are good ones because of her emotional pain and confusion and she has to face the consequences of those choices. But the short chapters and sentences make it a fairly easy read but with plenty of depth as Cedar slowly starts to accept that her life while unable to ever be the same, can still have plenty of good things in it. I recommend this one for slightly older readers who enjoy a sad but thoughtful read.